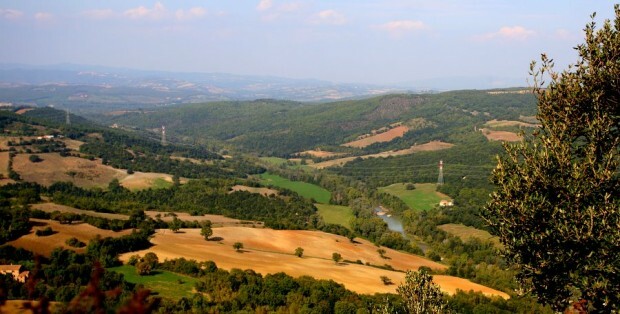 Southern France is one of those travel destinations that has got it all. Excellent weather, stunning coastlines and, of course, it benefits from the French fanaticism over food and drink. It’s no wonder it is a favourite with British tourists, who can be seen boarding Monarch Airlines flights to Nice in their droves every year. Its coastline position, sun-bleached houses and plethora of great bars and restaurants make it a top place to spend a two-week holiday. 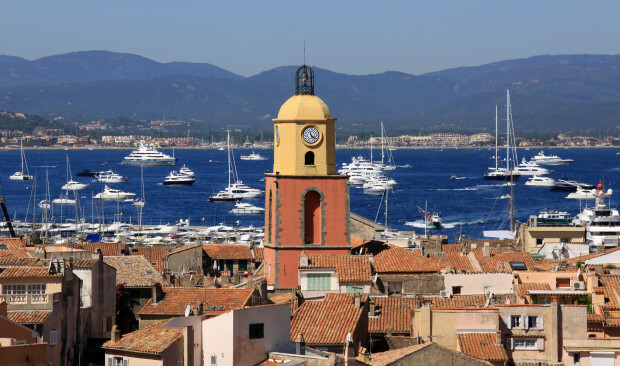 But it’s a mistake to think this charming city is all that southern France has to offer, and the resorts of St. Tropez and Cannes are equally as attractive, offering different atmospheres and attractions. For a more in-depth look at our three favourite cities, read on. Luxury is not in short supply in Nice. As a top tourist destination, it is home to dozens of top hotels and resorts of the five-star variety. But even if you don’t want to break the bank on holiday, it’s easy to feel special. Enjoy some of that fine French cuisine at a restaurant on the beach, where the fish is dragged up the sand, prepared by a world-class chef and then placed straight onto your plate. Throw in a bottle of good Bordeaux and some decadent desserts, and you’ve got the recipe for a perfect evening. The city’s famous flower market Cours Saleya is also worth a mention. Frequently named one of Nice’s top attractions, its edges are lined with a plethora of cafes and restaurants, while the stalls themselves contain myriad specimens of flowers of all shapes, sizes and colours. Take a bunch back to your accommodation so you can wake up to them every morning. The razzle and dazzle of Hollywood never quite leaves this splendid city, which has played host to all manner of A-listers thanks to its famous film festival. As a result, there is plenty in the way of luxury to be discovered. The glorious five-star hotels on the seafront are where you’ll find the most pampering and attention. Whether you choose the magnificent Majestic or the art deco-styled Hotel Martinez, you’re guaranteed to find a level of service quite unlike anything you’ve experienced before. If you’re particularly interested in luxurious shopping, wait until April to go, for this is where the city showcases its fabulous fashion as part of the Cannes Shopping Festival. Rest assured, all the big names in the industry will be there, showing off a huge variety of tailored-to-fit and ready-to-wear clothing and jewellery. Fabulous, darling. By far the most naturally beautiful setting of our three southern France beauties, Saint Tropez is a collection of multicoloured ramshackle houses collected together on the rocky and wooded peninsula of the same name. Treating tourists to views across the ocean in one direction, and the supreme Maures mountains in the other, it’s no wonder it is one of the most popular holiday resorts in Europe. As the resort attracts A-listers every year, you won’t be short of luxurious activities. Take to the streets in search of a trendy bar or top restaurant and you most certainly won’t be disappointed. In fact, you’re likely to spot at least three or four on the same street as your hotel. So treat yourself to a spot of luxury in the south of France for your next holiday. Go on. You deserve it. Planning a trip to Europe? Whether this is your first or a return venture, you will not be disappointed traveling to these less-known landmarks. You will be awed, you will be off the beaten path and you will have adventures your friends will be envious of. The Rioja Alavesa Wine Route offers you the tours of wineries in the region and much more. Throughout the year there are fairs, exhibitions, car rallies and marathon races. The area is known for its deep musky Rioja wine and for its landmark modern architecture. The land has a rich history that is seen through many found remains that date back to the Bronze Age. Vezelay is a UNESCO World Heritage site that is famous for the eleventh century Romanesque Basilica of St. Magdalene and one of the most underrated attractions in Europe. Legend has it the basilica was built to house relics (bones) of Mary Magdalene brought to Vezelay by the Benedictine monk, Baudillon. The Basilica has been a pilgrimage place for hundreds of thousands of followers. Beyond this, the beauty of the Vezelay Abbey is said to rival Chartre Cathedral, and the village, being set into a hillside in Burgundy, is one of the most picturesque in all of France. The surrounding countryside is home to France’s burgundy wine country. Twenty miles north of Stonehenge lies one of the eeriest Neolithic monuments in Europe: Avebury. It consists of multiple concentric circles of stone constructed around 2600 BC, amid which the medieval village of Avebury grew. Archeologists assume the purpose of the stones and placement to be ritualistic. Thanks to a collaboration with the BBC a few years ago, Avebury Mansion has been restored with a museum for exploring the monument. Visitors can re-experience the BBC series the Manor Reborn, tour the Mansion and the Gardens, and experience the Stone circle that borders the edge of the Mansion Property. On the north end of the Danish Island of Zealand lies Louisiana Museum of Modern Art. The museum prides itself on its interface of art, nature and the museum’s modern architecture. Louisiana Museum has one of the largest collections of modern art in Scandinavia and includes artists from Picasso, Giacometti and Dubuffet to Warhol, Rauschenberg and Guston. They have a tradition of cross-cultural exhibitions and of large, international photo, design and architectural shows. The museum looks across to view Oresund Sound to Sweden, along with Hamlet’s Elsinore Castle, the summer home of Danish royals-Fredensborg Slot and the many beaches and cliffs all nearby. Culture is the word that comes to mind when one mentions Dresden. The city has three major landmarks and many more minor ones too numerous to mention: Zwinger Palace, Semper Opera House, and the Church of Our Lady. For 700 years Dresden has been famed for its music and the calendar year round is packed with musical events from international festivals like the International Dixieland Jazz Festival to theatre and dance happenings to the famous Semper Opera Ball. Christmas is a special time in Dresden as it is home to the oldest Christmas Market, Striezelmarkt, first documented in 1434. No other place has the lights, sounds and tastes of this one. The top reasons to visit France have always enchanted and impressed people from all walks of life and different backgrounds. The fact that it has been romanticized by several films makes it less surprising to note that it receives 79 million tourists yearly. No doubt, France is among the most popular tourist destinations in the world. And it does not only owe this fete to the 37 UNESCO World Heritage Sites it hosts. France has always been an influential contributor when it comes to art, fashion, food and education. Its history has spawned a lot of innovative ideas and products. And it is because of this that it has remained on the top of the totem pole when it comes to countries people would love to live in. 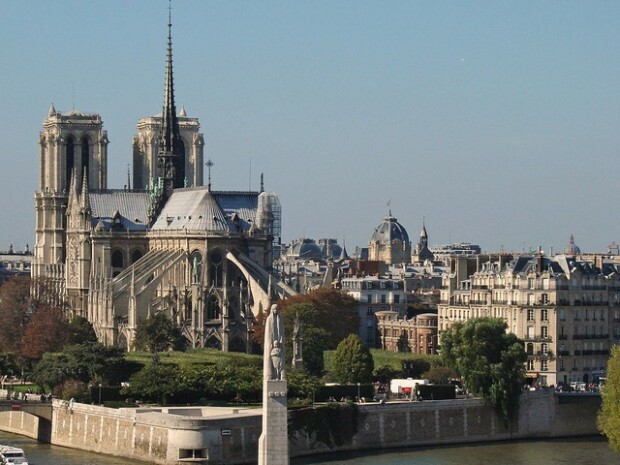 Among the top reasons to visit France that is continuously being popularized is its infrastructure, with the Notre-Dame Cathedral and Eiffel Tower standing in the forefront. The Eiffel Tower, located on Champ de Mars, was constructed back in 1889 as the entrance arch to the World’s Fair, held that year. Eventually, it became an identifying monument of the country and one of the most recognizable structures in the world. It is visited by 7.1 million folks yearly and offers tourists the option to ascend to any of its three levels. And inside, there are a number of restaurants guests can dine in to enjoy a spectacular view of the city while eating famous local dishes. The Notre-Dame, meanwhile, is a Roman Catholic church which depicts one of the finest examples of French Romanesque and Gothic architecture in the world. It is also the largest and most well-know of its kind, spanning a century of construction. It is characterized by its lifelike sculptures and amazing stained glass windows. And even though it was desecrated during the French Revolution, much of its original aesthetic is still intact. To add to the aforementioned, the top reasons to visit France also encompass a variety of countryside attractions – one of which are the vineyards – particularly in Burgundy and Bordeaux. It’s no secret that France is among the most outstanding sources of wine as it possesses a climate conducive to the cultivation of different types of grapes, namely Sauvignon, Sauvignon Blanc, Chardonnay, Cabernet, Pinot Noir, and Syrah. But what makes France’s wineries worthwhile to visit are the ancient wine-making practices and styles they adapt. As such, when you pay each of those plantations established in Burgundy and Bordeaux, you’d taste distinct variances in flavor and composition you won’t be able to when you’re just at home. The French Riviera is also among the famous vacation hotspots in France that attracts a great deal of tourists. And what makes it very appealing is that people can enjoy fun water-based recreation the whole year round in places like Toulon, Cassis, Hyres, Saint-Tropez and Cannes (which will be hosting a big poker tournament in September for even more entertainment, hosted by France Pokerstars). If you find that you still have time to discover other highlights in the region, other top reasons to visit France include the Louvre, Champs-Elysees, and the chateaux of the Loire Valley. Reading bus timetables is something that most of us learn how to do in school or from real-life experience as children taking the bus with our parents. But if you’re not a regular bus user and wouldn’t know where to start to even look for the timetables let alone read them when you’ve found them, where do you begin? Thankfully most bus schedules are available online through the various bus companies that run the various routes. 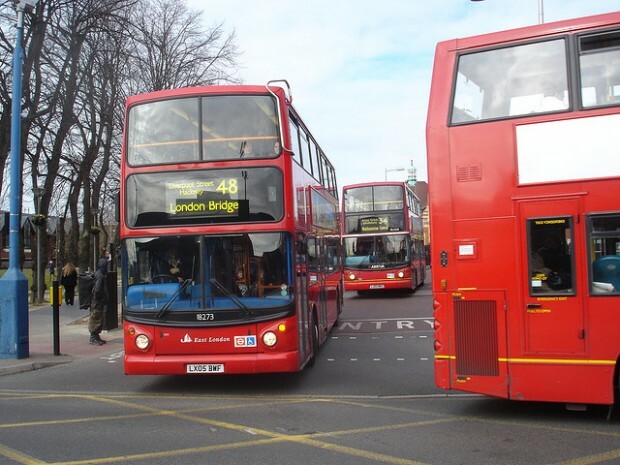 If you know what area you will be travelling in, then doing a quick internet search for bus companies that operate in that area will direct you to their sites which, in turn, ought to offer you details of the routes, stops and times. If you are planning an international bus journey then searching for ‘buses to France’ (for instance) will bring up a few options for you to choose from. Each site will be different but iDBUS, for instance, has a really clear bus timetable: just select the cities you want to set off from and arrive in, and the date you want to travel. The site will pull up a really clearly-marked timetables telling you when the bus sets off (e.g. from London Victoria) and when it will arrive (e.g. at Paris Charles de Gaulle). Normal British timetables will typically have a list of major bus stops down the left hand column, and rows of times that the buses will reach each of those stops. From that you can estimate what time your bus will arrive and many bus stops are now fitted with real-time information about when the next bus is due and which route it is taking. On the timetables there may be symbols or other notes that you need to bear in mind when reading the timetable: some times and services will only be available on Saturdays, or not on Sundays, for instance. At major bus stations you can find screens telling you which platform you need to go to in order to catch your bus, and they will also tell you what time your bus will depart. There are also members of staff available who can direct you and – if you are travelling with iDBUS as before – dedicated bus company staff will be easily identifiable and can help you to find your bus and seat. Remember that bus timetables are always calculated on a best estimate basis. There can be little accounting for changes in road conditions and traffic flow. That’s why real-time information is so handy, and many stops offer a text service so that you can text and receive information about when exactly your bus is due to arrive. We hope this post helped “demystify” how to read a bus timetable just a bit to make your next overland journey a tad bit more, relaxed.